With all the beautiful blooms around the Arboretum these days, the bugs are on a feeding frenzy! 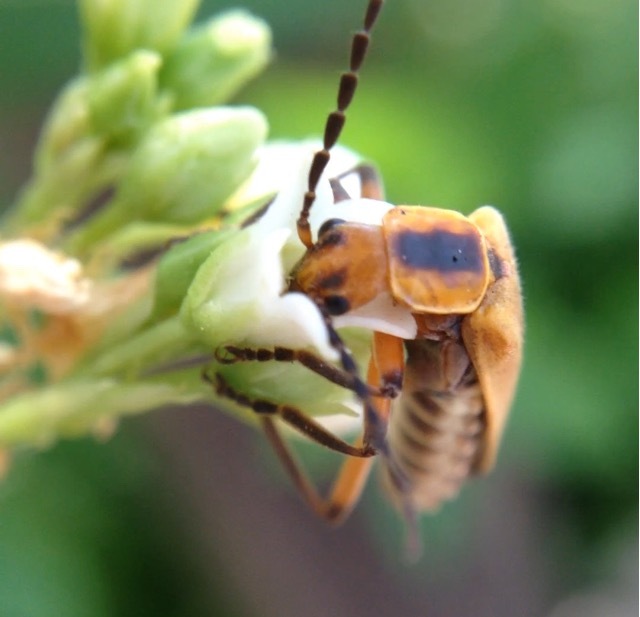 I have been having a blast snapping photos of all the active insects with my new camera gadget – a clip-on macro lens that attaches to a phone camera. My iphone can now get incredibly close and detailed shots of the tiniest insects. This handy tool is inexpensive and invaluable for bug-crazy individuals like me. I got mine courtesy of a Xerces Society pollinator workshop back in April. 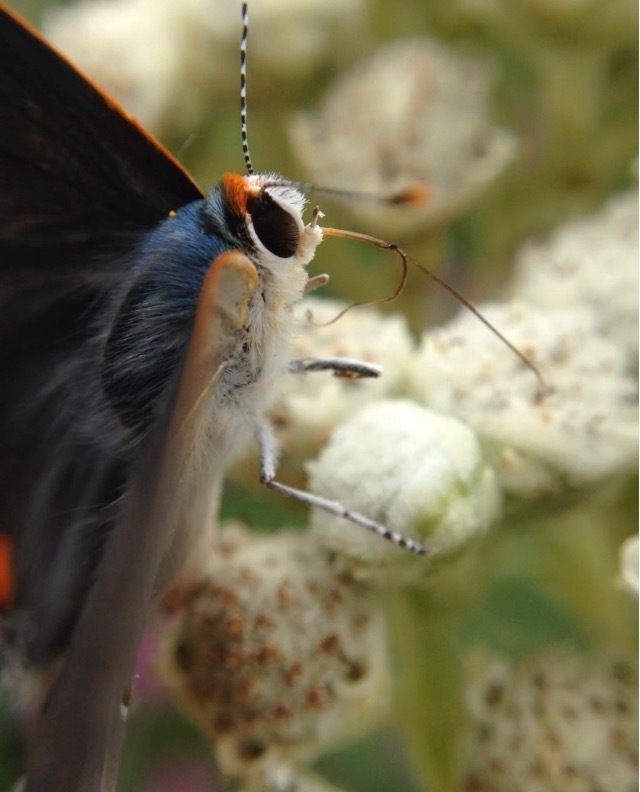 Grey Hairstreak on Wild Quinine flowers (Strymon melinus on Parthenium integrifolium) with outstretched proboscis! Goldenrod Soldier Beetle (Chauliognathus pennsylvanicus) dipping his head into the flower cup of Indian Hemp Dogbane (Apocynum cannabinum). 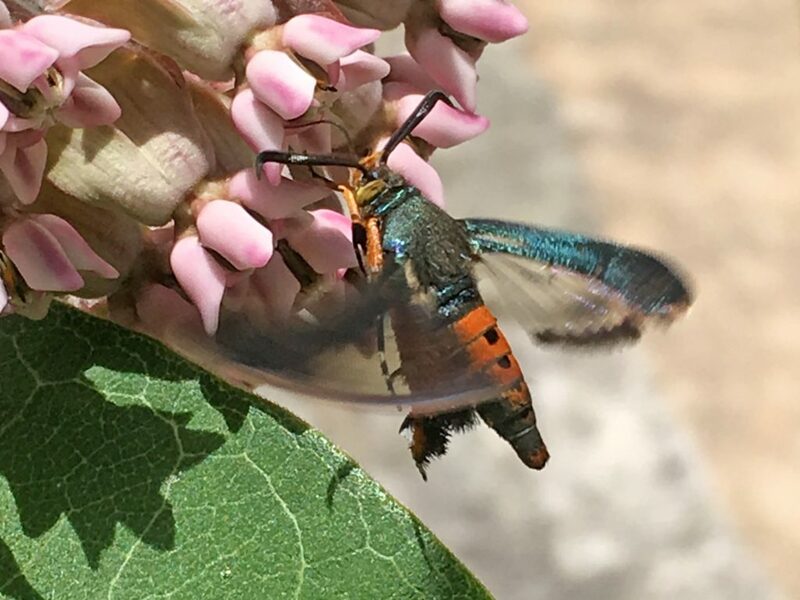 Notice the long segmented antennae and claws on the feet for climbing. Carpenter bee (Xylocopa sp.) on Purple Prairie Clover (Dalea Purpurea) with pollen on his hairy legs. 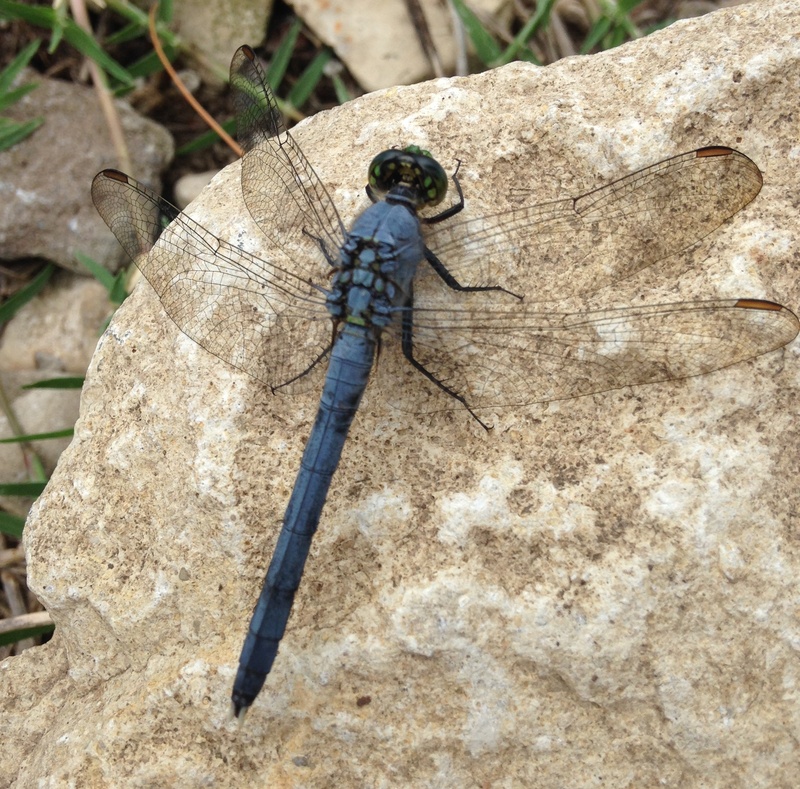 Eastern Pondhawk (Erythemis simplicicollis) resting on limestone near the greenhouse, probably on his way back to the pond. watch as a paper wasp forages on horsetail milkweed flowers and the pollen-covered bee in the picture above enjoys a snack on some purple prairie clover. 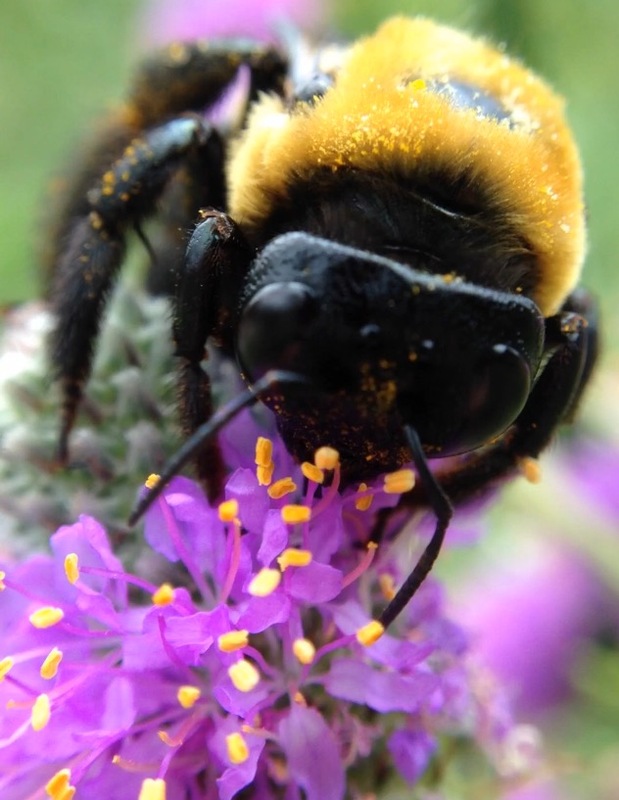 If you want to bee an insect expert, get one of of these lenses for yourself and snap away! They are useful as educational tools or for taking detailed pictures to help you and your extension agent identify particular garden friends or pests. When you visit our grounds to see these beauties for yourself, be sure to check the gift shop for a wide selection of children’s books and as well as adult field guides that focus on insects found in Kansas. I will be travelling this week to the annual conference of the American Public Gardens Association, this year located in Toronto, Ontario, Canada, which is very far from my Kansas home. 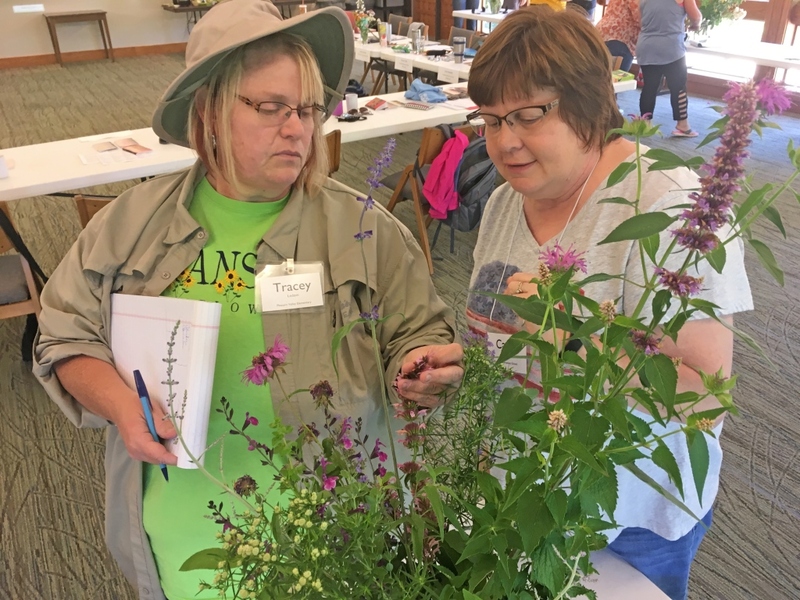 Representatives from public gardens across North America will gather to share information about their respective gardens and regions. Kansas has a simple fundamental beauty that is unique to this state. 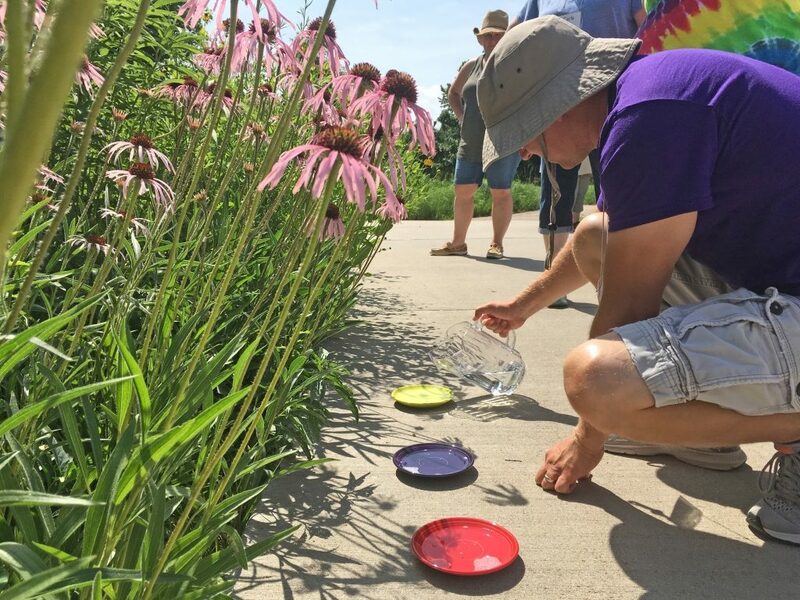 The Dyck Arboretum of the Plains tries to capture that beauty in the development of our grounds, using plants that are native to the prairie. Contrary to popular belief, Kansas is a special place to live. 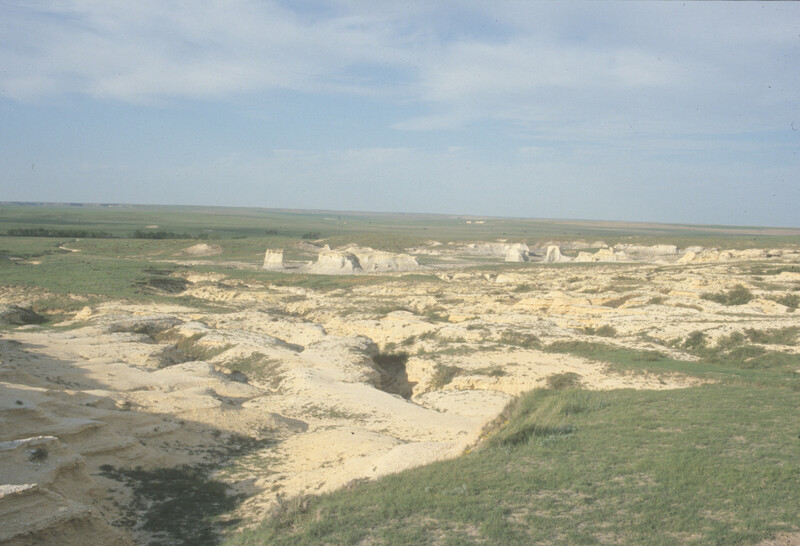 The vast open views, unobstructed for miles in every direction, are a hallmark of this state. 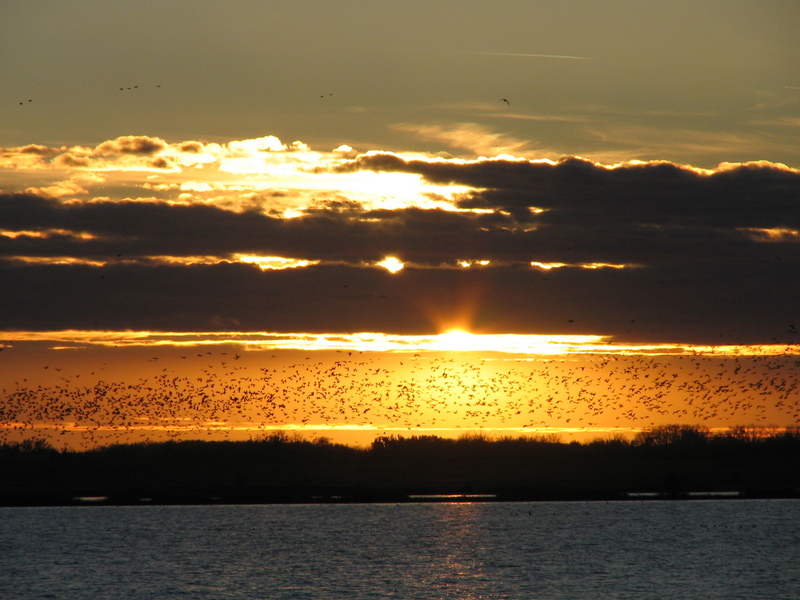 Amazing sunsets happen almost every night. Dynamic thunderstorms and bright white clouds fill the afternoon skies. Kansas has a beauty all it’s own. 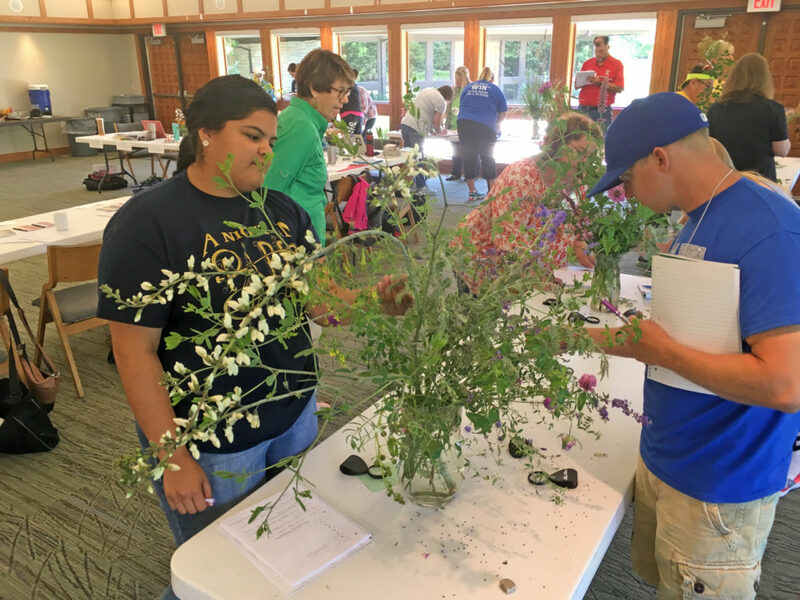 I look forward to sharing with my colleagues why I love living in Kansas, and why the Arboretum’s mission of connecting people with the prairie is so important to our organization and to our community. 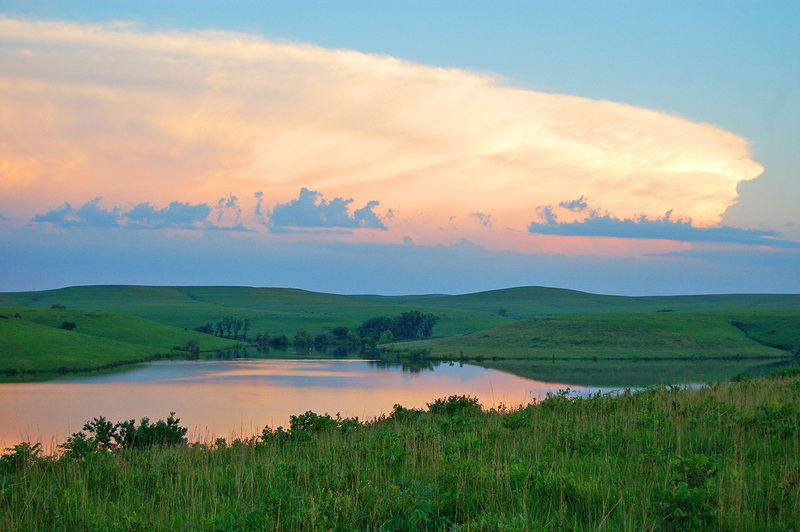 Tallgrass Prairie National Preserve in the Flint Hills. 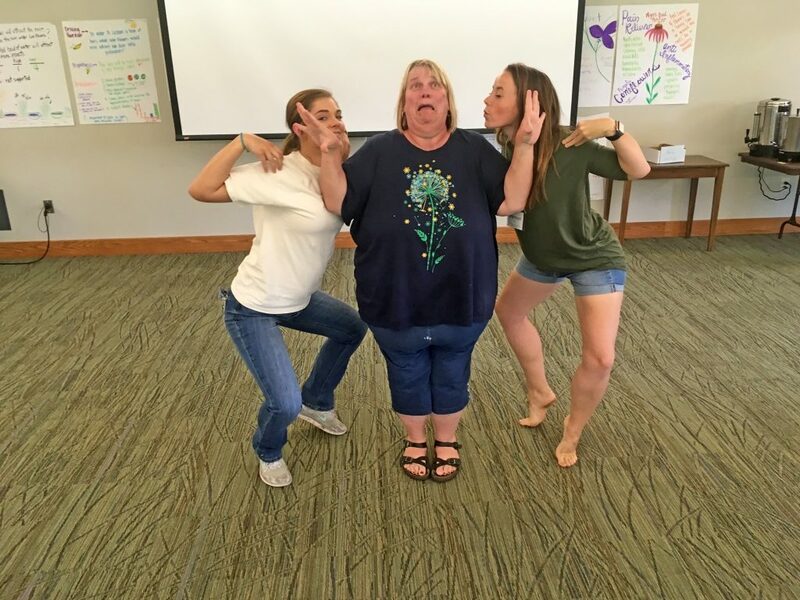 We had a great time with our 11th annual Earth Partnership for Schools Summer Institute last week. 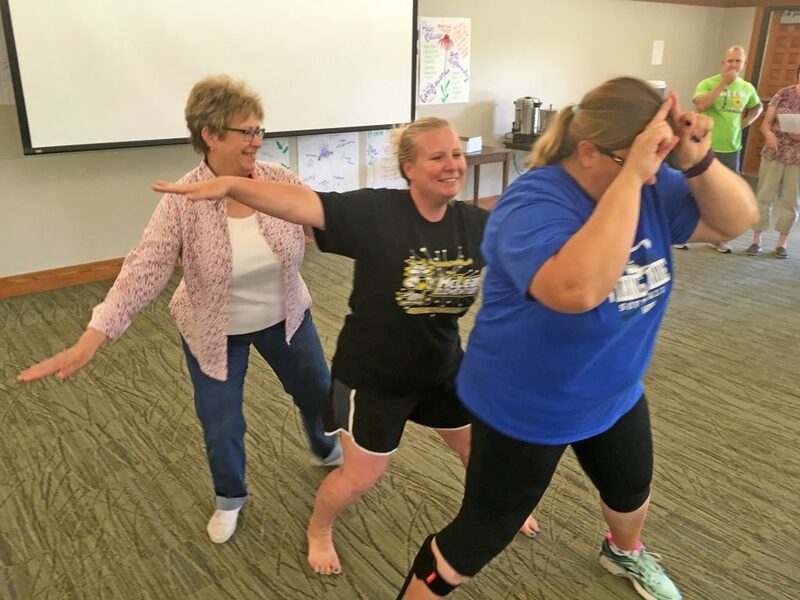 K-12 teachers brought their enthusiasm for learning and a willingness to put themselves in the shoes of their students. 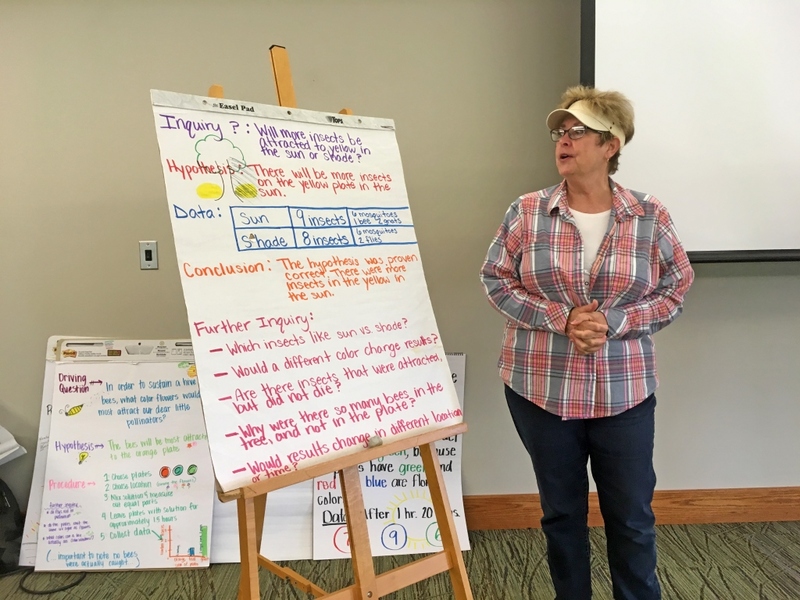 For five days, they practiced hands-on curriculum activities and developed action plans to plant native prairie school gardens in the coming years with their students. A big focus of the week is the study of insects. We learn about their diversity, preferences for different habitats, and importance in pollination. 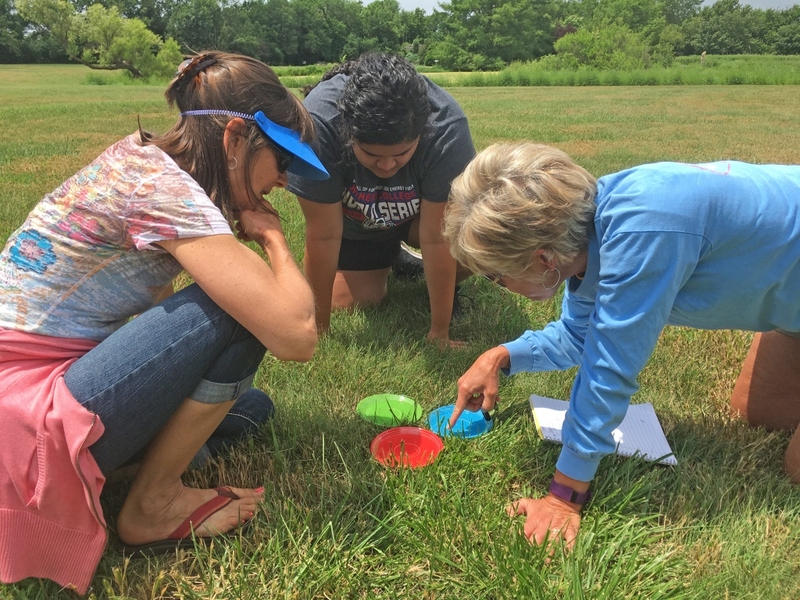 We make observations, conduct studies, think about how certain plant shapes and colors attract certain insect groups, and even play insect charades. 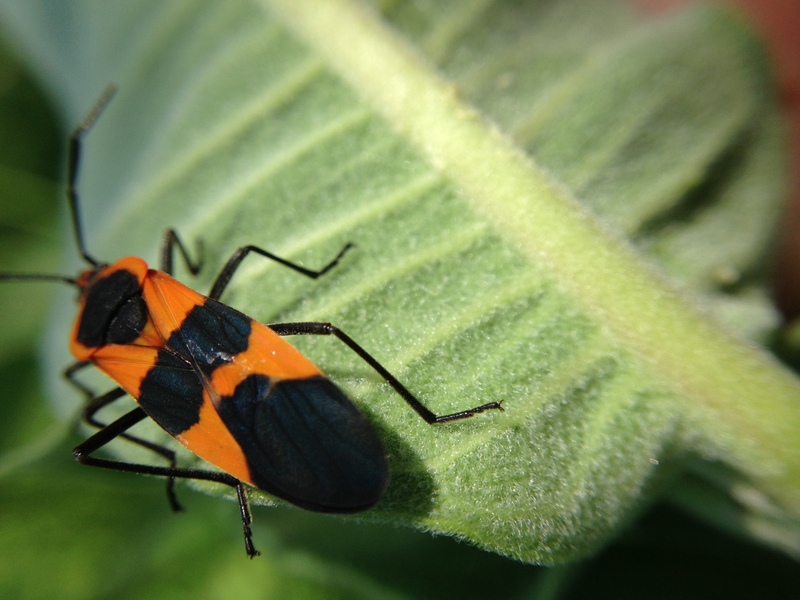 Insects are critical components in the function of nutrient cycling, natural areas, food systems, and general human existence. 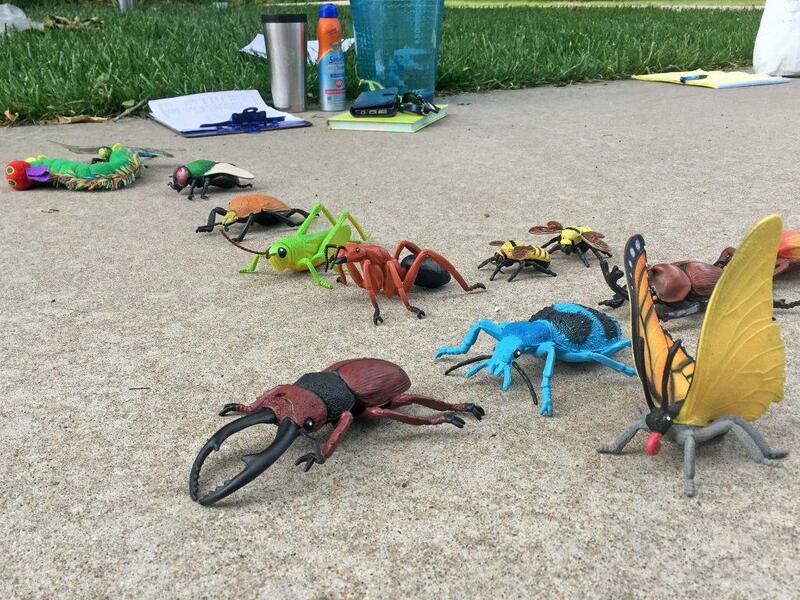 We hope that teachers will embrace the importance of these critters and inspire the next generation with the fascinating world of insects. Models showing common insect orders of classification. Conducting and presenting science inquiry studies with insects. Studying whether pollinators are attracted by different colors. 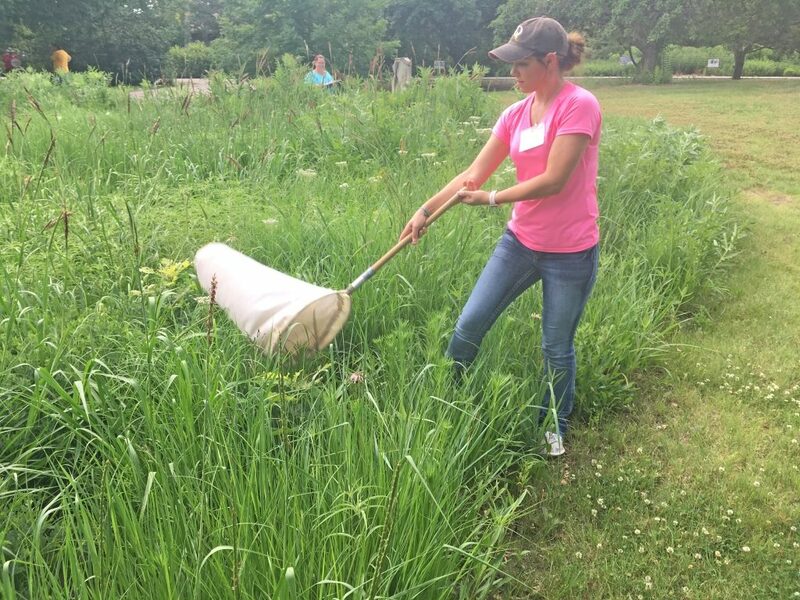 Data collection with soapy water insect traps near purple coneflower. 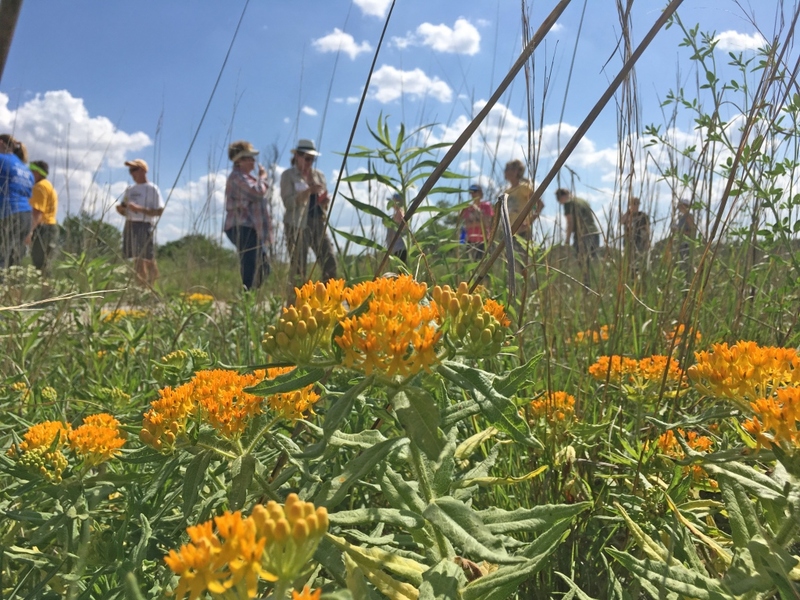 Flower-pollinator observations at Maxwell Wildlife Refuge with butterfly milkweed in the foreground. Mint family flower shapes attract certain types of pollinators. Legume family flower shapes attract certain types of pollinators. 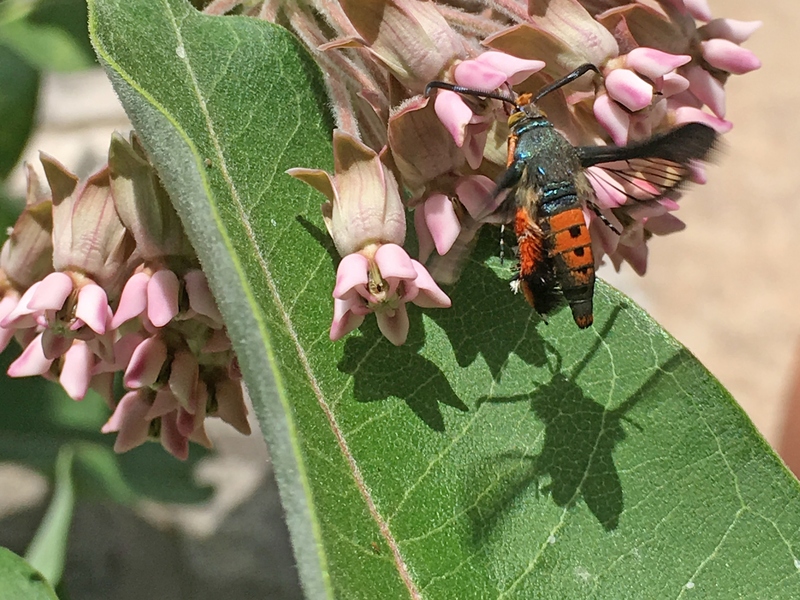 Observing a clear wing moth collect nectar from common milkweed during the week. The clear wing moth is also known as the squash vine borer. After seeing the two sets of wings, efficient lateral movement, compound eyes, and short antennae, it becomes obvious that this is a dragonfly. Butterflies nectaring at a flower. Daleas – now called Petalostemons and commonly known as prairie clovers – is a genus in honor of Samuel Dale, an English botanist (1659-1739). Sixteen taxa of these hardy legumes are listed in the Flora of the Great Plains. 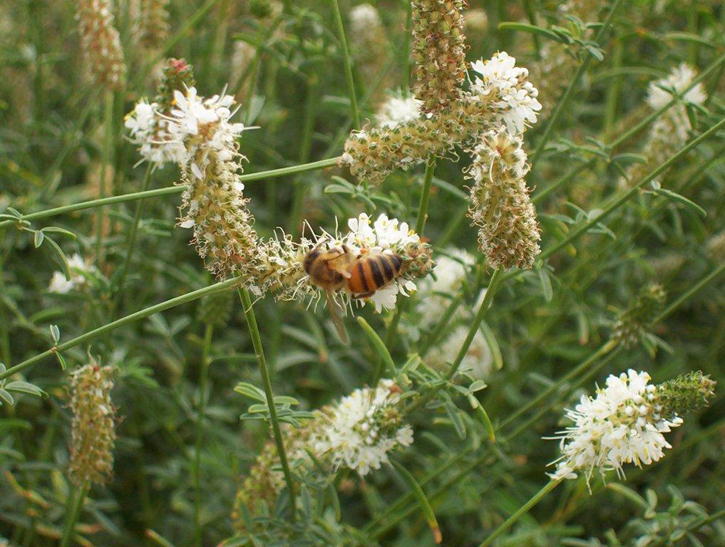 Few prairie clovers are cultivated, yet they offer splendid summer blooms and interesting, often fragrant foliage. This herbaceous perennial grows 12-30 inches tall. Its many flowers are on a dense ½ -3 inch long spike. The specific epithet aurea, derived from the Latin aurum meaning gold, refers to the yellow flower that blooms in June through September. 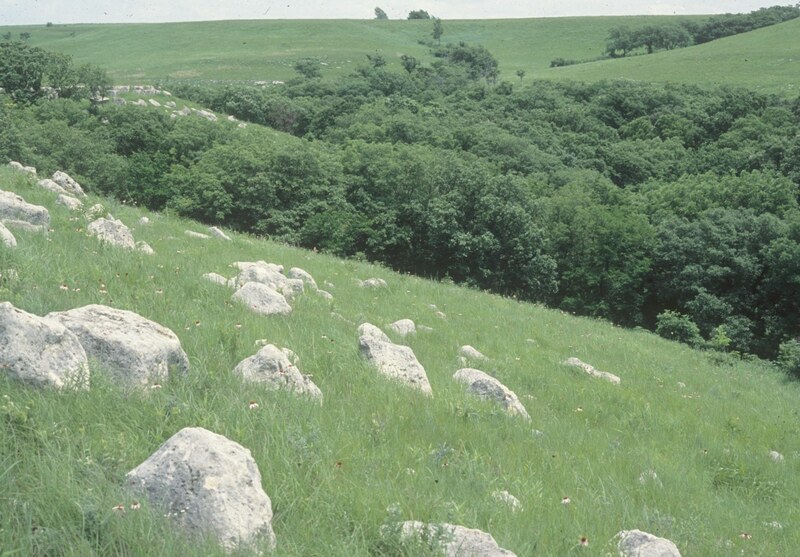 Golden prairie clover is native to the western two-thirds of Kansas, especially on gravelly ridges and rocky slopes. The specific epithet candida refers to the shining of pure white flowers, which appear in mid-June through July. 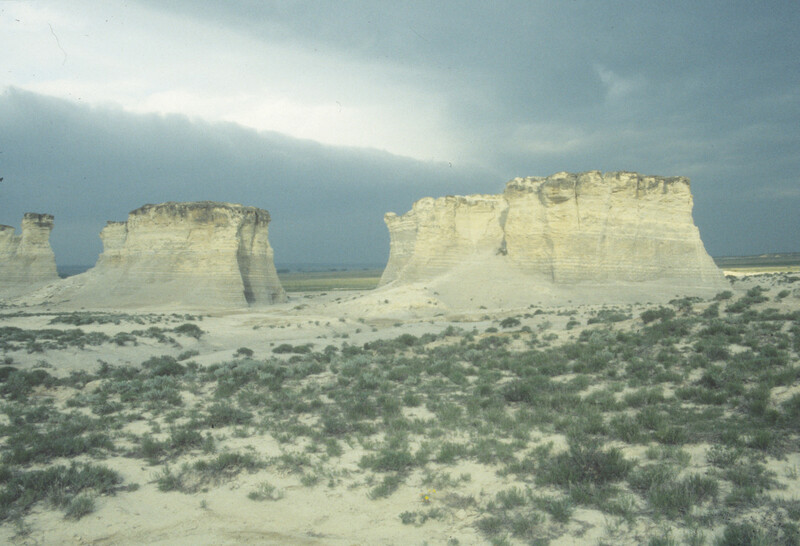 This species ranges from 12-36 inches tall and can be found growing in the eastern half of Kansas. 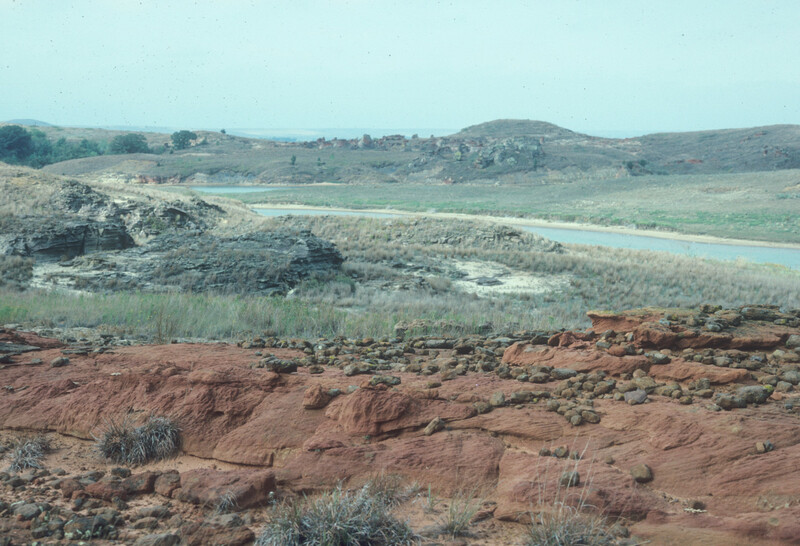 Because it is palatable to livestock, overgrazing can cause the elimination of the species from a range. This plant puts on a prolific flower display of white flowers from mid-July to early-September. The foliage is also quite fragrant, producing a tangy-sweet aroma when crushed. This species ranges from 12-24 inches tall. 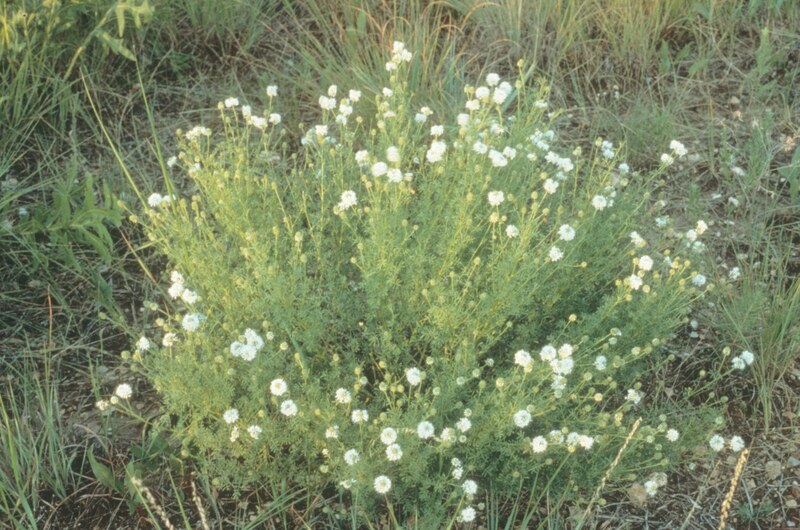 It is infrequent to locally common on dry rocky prairies and roadside banks in the eastern portion of the state and is selectively grazed by livestock. This species produces fragrant purple flowers in June and July. The finger-like foliage and upright habit make this prairie clover one of the best for the prairie garden. The plants can be 6-36 inches tall depending on the variety and can be found in most prairie types in the eastern two-thirds of Kansas. Like P. candida and P. multiflora, this species is palatable to livestock. 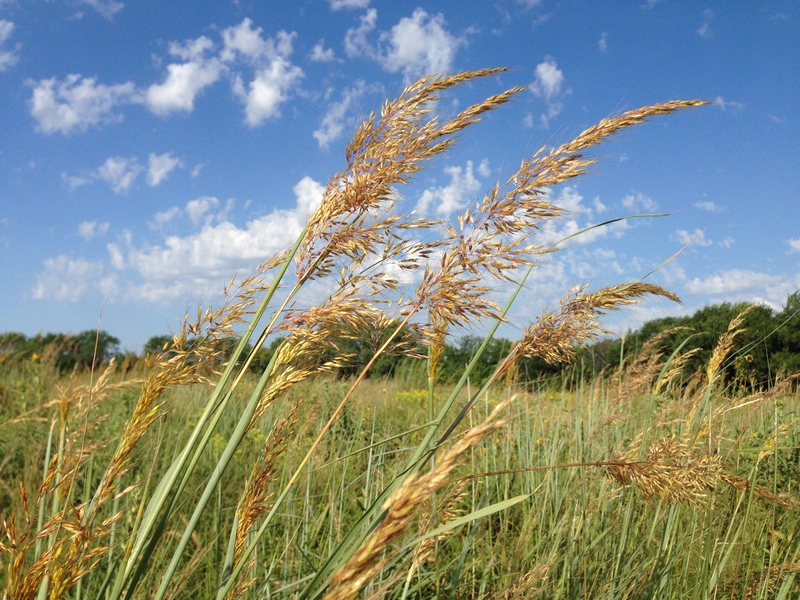 It is an important component of the prairie hay, is rich in protein, and nutritious to cattle. 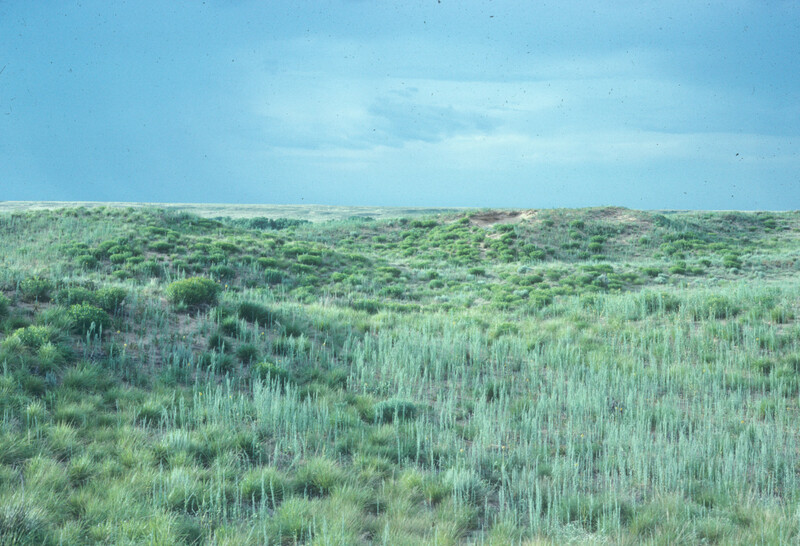 It can become rare in heavily grazed pastures. This species ranges from 6-18 inches tall with lavender to pink flowers in June through August. The leaves are covered with soft silky hairs, giving the plant a silvery sheen. 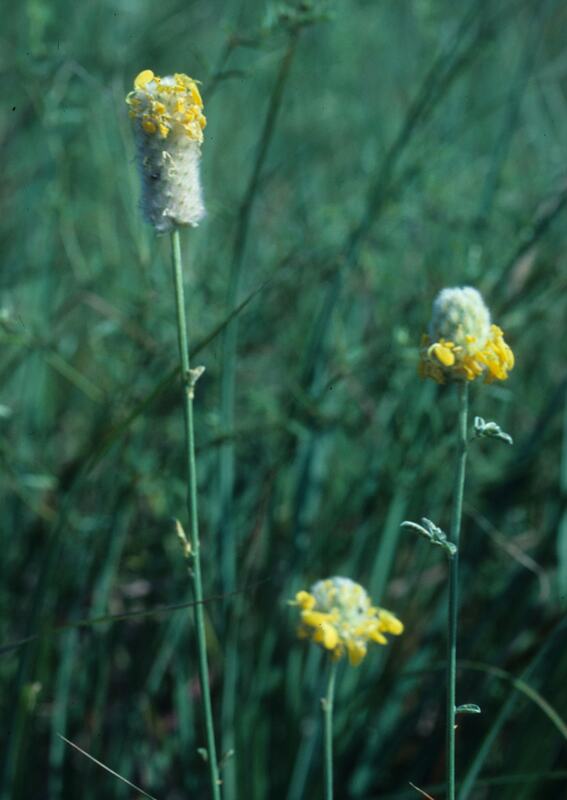 You can find this prairie clover on sandy soils south and west of the Arkansas River in Kansas. Petalostemons have other uses besides being ornamental and planted in your prairie gardens. 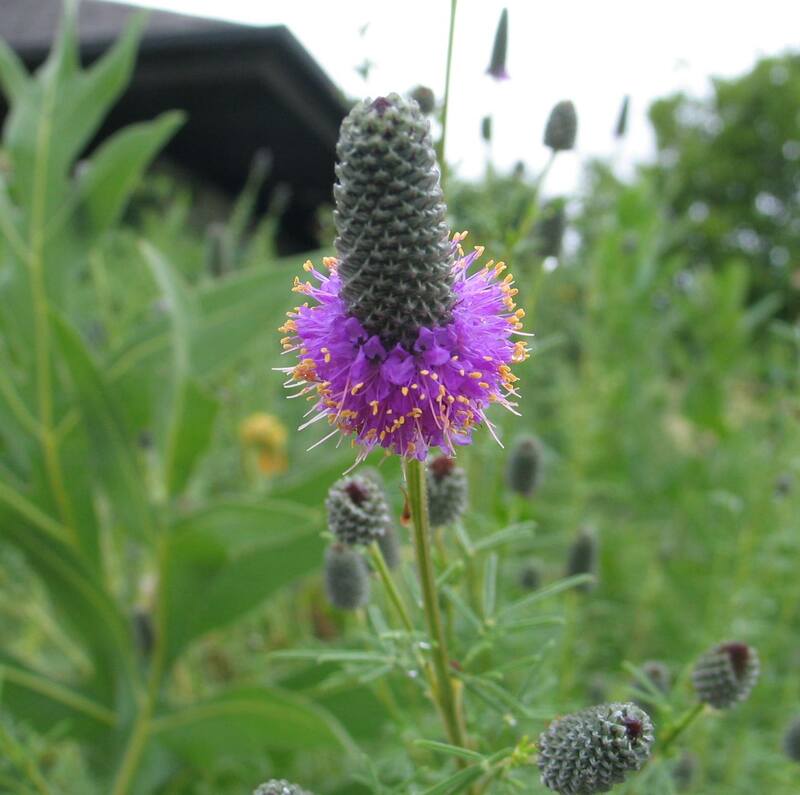 No matter your soil type, there is a prairie clover for your garden. 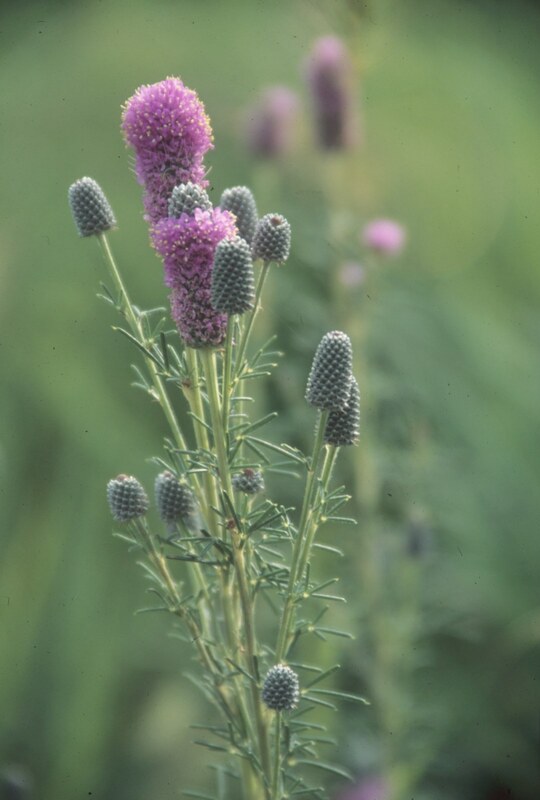 Pollinators flock to the compact flower cones of these hardy wildflowers. 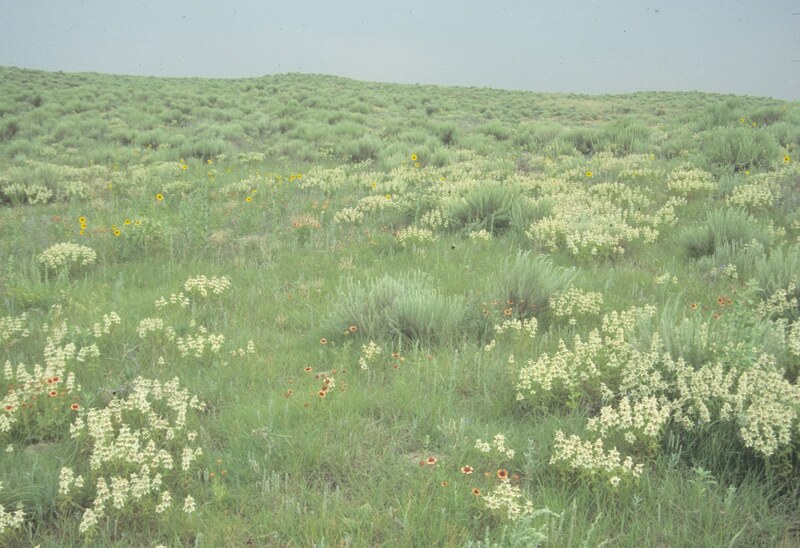 Melvin Gilmore, in his book Uses of Plants by the Indians of the Missouri River Region, says that these prairie clover leaves were sometimes used to make a tea-like drink. The root was commonly chewed for its pleasant taste. The tough elastic stems were used to make brooms. Sometimes the pulverized root was put into hot water and drunk to ward off disease. These are past uses. I would highly discourage you from using these plants medicinally. Just enjoy these tough wildflowers in your prairie garden. Once established, they will prosper with little or no care.